Everything you didn't know that you need to know about Dental Insurance. 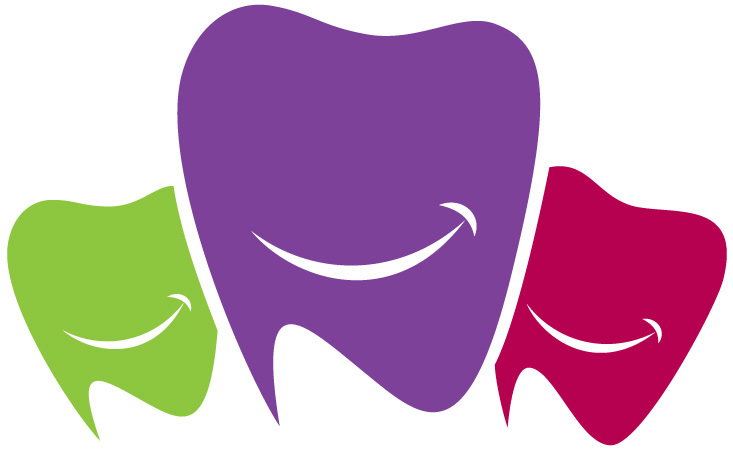 Who is frustrated with dental insurance?! It is constantly increasing in price and decreasing in value, not to mention benefits changing with no notice to subscribers or to the providers who agree to file a claim with them as payment for their services. It’s a constant struggle to keep up with dental insurance companies and their new rules, and we know that if we’re frustrated, surely our patients are as well. I hoped to write this blog post as a reference for our patients when insurance does something wacky that doesn’t make sense, and our patients end up with a bill they weren’t expecting. Hopefully you can find answers here and even come to the table better prepared if you are searching for a new dental insurance provider in the future. When it comes to dental insurance, you really don’t know what you don’t know. A little bit of education goes a long way in determining if dental insurance is even worth what you pay for it. First, it’s important to understand that dental insurance isn’t really ‘insurance’ at all. It is actually a benefit typically provided by an employer to help employees pay for routine dental treatment. The employer usually chooses a plan based on the amount of benefit and how much the premium costs. Most benefit plans only cover between $1,000 (an average plan) and $2,000-$2,500 (an excellent plan) of dental costs per person per year. (Interesting side note: despite the fact that dental costs tend to rise a little each year, annual maximum levels for dental care have not changed since the 1960s.) We are happy to help you maximize your benefits, but understand that it is our experience that some dental benefit providers are making changes that may or may not be communicated to you. We promise to be fair and consistent with all our patients, but we have no control over what insurance companies ultimately cover or don’t cover and at what rate. How do dental insurance companies come up with allowed payments or fee schedules? Companies refer to these fees as UCR, or ‘Usual, Customary and Reasonable’ fees. This listing is related to the cost of the premiums and where you live. UCR in New York is very different from UCR in Utah. The UCR is usually always less, sometimes even much less, than what any dentist in your area might actually charge for a dental procedure. This UCR also varies greatly in different companies, and as mentioned before, even within the same company there are often several different fee schedules. Dental insurance is different from medical insurance in that in most cases your dental insurance will still pay an out-of-network provider (unless they have specifically stated that they will not), where medical insurance usually pays little or nothing if you see a doctor or go to a hospital that is not contracted with your insurance company. Dental insurance companies will still pay, but only at the rate that they would pay an in-network provider. Because the out-of-network provider has not entered into an agreement to discount their fees, the patient is then responsible for the difference in what the insurance paid and the dentist’s fees. We are not always sure who we are contracted with. Sounds silly, right? Believe me, we do our best to stay on top of who we are contracted with, and don’t like finding out we are contracted with someone we thought we weren’t! There are so many smaller and even mid-sized insurance companies who are being bought out by larger companies, or a bunch of small companies who get together and merge, that it is impossible to keep track. The worst part is that nobody is notified of these changes! The best way for you (and us!) to find out if we are contracted with your insurance is to call them directly. If they are a smaller company, ask them if they are under a larger ‘umbrella’ company or if they are contracted to use another company’s fee schedule. Sometimes an employer wants to fund their own insurance but uses another group to manage the plan. This would usually mean that if a dentist is in-network with the managing company, they are with the employer also, even if they’ve never heard of it. Clear as mud?? · no longer considering sealants as preventative and covering them at only 80% after applying your annual deductible. What are sealants if they’re not preventative?! · There is another, more confusing way that insurance companies are getting out of paying 100% for your regular cleanings. Remember how I previously mentioned about the contract we as providers enter into with dental insurance companies where we agree to accept what the insurance company deems appropriate as payment for our services? Well, some companies are now also coming up with what they call an ‘allowed fee’. This ‘allowed fee’ is different (read: lower) from the fee schedule that was agreed upon with the provider. And, guess what? The insurance company will happily pay 100% of the ‘allowed’ fee, and leave the patient paying the difference between their ‘allowed fee’ and the contracted fee schedule. Pretty tricky, right? Benefit plans are often difficult to understand. If any part of your plan is not clear to you, or if you are unsure as to what your plan actually does and does not cover, contact your employee benefits coordinator or the human resource department where you work for more information. This could end up saving you a lot of unpleasant surprises down the road. To save money, some dental benefits will only pay toward the least expensive alternative treatment. For example, we only do composite (or white) fillings in our office. Composite fillings cost more than amalgam (silver) fillings. Many insurance companies choose to only pay for a filling at the amalgam rate even though a composite filling was actually placed, because it’s a less expensive alternative. So let’s say a composite filling was placed and charged at $125. This insurance company chooses to downgrade their benefit and only cover that filling at the amalgam rate of $100. If this company covers fillings at 80%, they would pay $80 which would leave the patient responsibility at $45 which is the difference in the amalgam filling charge and insurance payment PLUS the difference in the amalgam and composite filling. Not all insurance companies do this, but it’s nice to be aware of it if yours does. Sometimes, dental insurance companies won’t pay anything toward some procedures. This is usually because they limit the frequency that a procedure can be billed. This happens most frequently on cleanings, fluoride treatments, and x-rays. There are more limitations popping up all the time, however. A new one we’ve just come across in our office is an insurance company only paying for two fillings per year. With this plan, if your child has four cavities that need to be restored you will end up paying 100% of two of the fillings because they will only pay for two, no exceptions. This is something to be aware of and ask while shopping for dental insurance. Many medical insurance plans now have an embedded dental benefit, but it’s usually not as great as it seems. Often, preventative pediatric dental benefits that are included in your medical insurance are considered covered, but they are applied to your deductible so you end up paying for your child’s visit to the dentist anyway. That’s not usually what you expect when you hear that dental benefits are included, because we’re all so used to preventative care being covered with no cost to the patient. Just be aware of this if it’s the case for you. Most insurance companies have a waiting period for any restorations. This can be anywhere from 90 days to 1 year. This means that until the waiting period is up, anything done beyond a simple exam and cleaning may not have any benefit and can be left 100% up to the patient. What do you do when your dental insurance company didn’t pay for treatment that you expected to be covered? First of all, we must emphasize that as health care providers, our relationship is with you, not your insurance company. Your insurance is a contract between you, your employer, and the insurance company. We are not a party to that contract. Any amount the insurance does not pay will be your responsibility. We always do our best to inform you of what your portion should be after insurance, but it is difficult to be exactly correct 100% of the time. Often, if our estimate is wrong it’s because your plan benefits have changed from the last time we billed your insurance, and neither of us was informed of this change. If you expected your insurance company to pay us differently than they did, may we kindly suggest that you CALL YOUR INSURANCE COMPANY. The natural reaction is to call our office because the bill came from us, but to be honest, that is what your insurance company is hoping for. Once your insurance company comes back with their payment, an EOB or Explanation Of Benefits comes with it. In the EOB it is listed exactly what the patient portion is to be, and that is what is sent on to our patients. This amount is determined by your insurance company to be your financial responsibility, not us. Just as we are bound contractually to accept what they pay us, you are bound contractually by them to pay what they have decided is your portion. If either party goes back on that contract, it could be considered insurance fraud which means big trouble for us, and possibly a cancellation of your dental policy for you. Call your insurance company! Ask them why their benefits are no longer what you expected them to be, why you weren’t informed, and why your premiums still went up this year! You are their customer and they need to hear it from you when you expected more out of them. We’re always happy to help from our end as much as we can, but dental insurance companies must be held responsible for changes to the benefits they provide. We offer alternatives to dental insurance! We have a loyalty program in place in our office called CV Smiles which cuts out the insurance company altogether. If you are searching for a reasonable dental insurance company, I encourage you to check out our program HERE. If you made it all the way to the end of this post and you didn’t find an answer to your question or you would like more detail, please don’t hesitate to call Lindsay or Tori at (435)752-4330 during business hours. We will always do our best to answer any questions and help in any way we can. Please also refer to our financial policy available upon request and various payment options HERE. Posted on February 24, 2016 by Daren Gehring and tagged cachevalleypediatricdentistry cachevalleypediatricdentist cachevalleydentist dentalinsurance insuranceexplained dentalinsuranceexplained cvsmiles northernutahpediatricdentist logandentist socialmedia kidfun coolkids cachevalley.